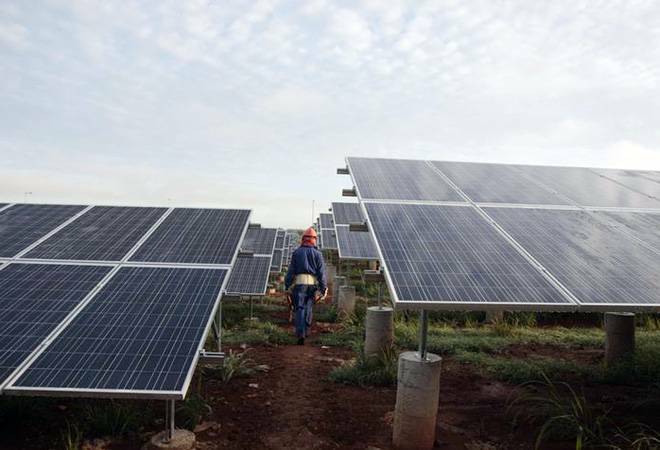 The Solar Power Developer Association (SPDA) has demanded the goods and services tax rate be kept uniform at 5 per cent on solar power generating system (SPGS) saying recent recommendations of the GST Council are inconsistent with the government's policy of promoting clean energy. The total incidence of tax on the SPGS would increase to 8.9 per cent with the implementation of the GST Council recommendations finalised on December 22, 2018, which would be effective from January 1, 2019. "...keeping in line with government endeavour to promote the renewable power sector and considering the specific facts of the solar sector, the entire contract for the supply of SPGS should be taxed at the concessional rate of 5 per cent," the SPDA said in a letter to Finance Minister Arun Jaitley last week. The industry body also said, "The present recommendations (of the GST Council) would run inconsistent and create a huge gap in the government policy and its implementation." The government has set a target of 175 GW of renewable power by 2022 which includes 100 GW of solar power. In the 31st GST council meeting held on 22 December 2018, the industry body recommended that in case of contracts for supply of SPGS, 70 per cent of the gross value of the contract would be deemed as the value of supply of goods and attract 5 per cent rate and the remaining portion (30 per cent) of the aggregate value of such EPC (engineering procurement and construction) contract shall be deemed as the value of supply of taxable services attracting standard GST rate. Elaborating further, the SPDA informed that in case of a contract for the supply of SPGS, the scope of work primarily includes the supply of goods. It said, "It is pertinent to note that services are incidental to the contract and are minimal in the whole scope of work (not being more than 5 per cent of the total contract value). For the purposes of clarification, we have in last 8 months provided the Ministry of Finance with all the necessary evidence including the cost break-up of every single part installed in SPGS and EPC contract documents executed in the industry." The body pointed out that the SPGS cannot be supplied in isolation without services such as installation and commissioning. It submitted that providing concessional rate of 5 per cent on only 70 per cent of the gross value of the contract for the supply of SPGS would result in the higher tax rate on the supply of SPGS as compared to the erstwhile excise and service tax regime. The SPDA said, "The effective tax rate will be 8.9 per cent, which is considerably high as compared to 1.5 to 2 per cent in the pre-GST era." It also said that the GST Council recommendations shall lead to increase in the cost of electricity not only for future projects but also for many operating plants wherein the power purchase agreement executed between DISCOMs and solar developers provide pass-through on the GST implication. The body stressed in the letter that the entire contract for the supply of SPGS (including service portion) should qualify as the supply of SPGS and should be taxed as the supply of SPGS at the concessional rate of per cent.